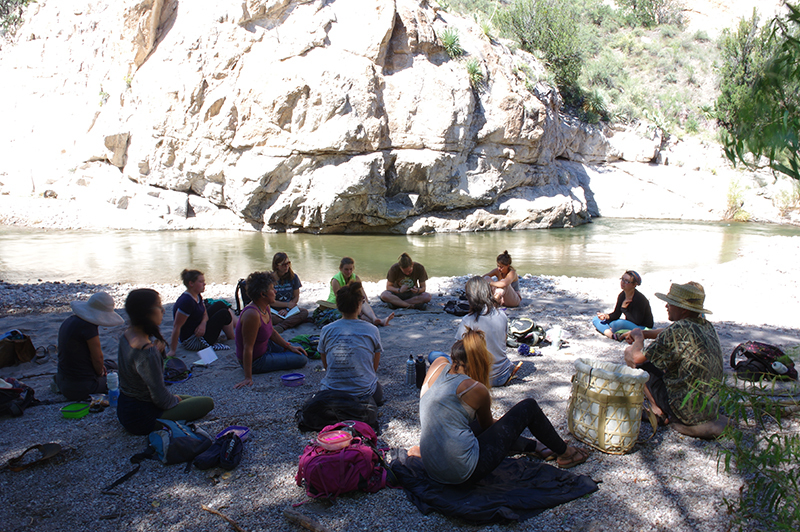 Turkey Creek in the Gila Wilderness offers a highly diversified ecological setting for students to explore one of the Southwest’s few remaining “wild” rivers. 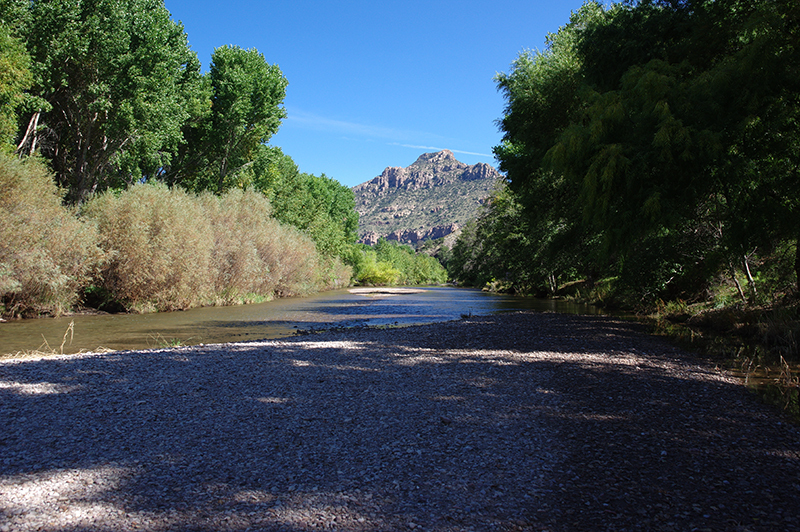 Recently this site has come under threat of the Gila Diversion Project, an effort to divert the waters the Gila with dams and reservoirs. 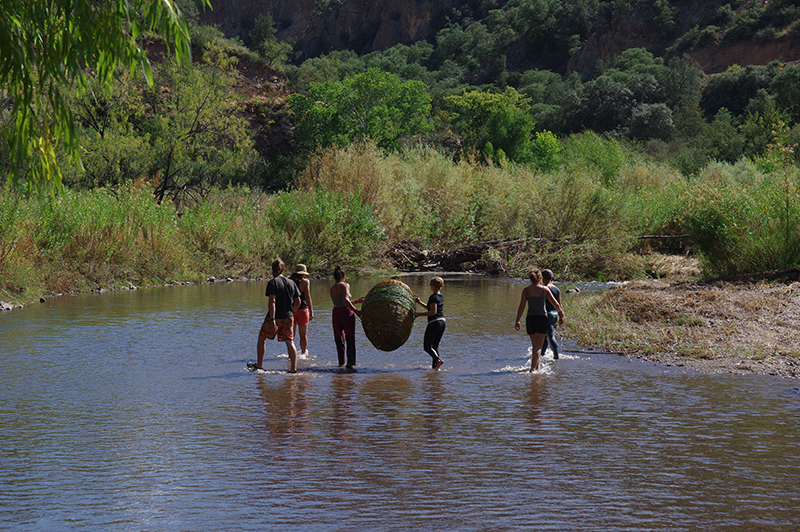 Land Arts engaged with local residents, artist Orien MacDonald and conservationist Carol Fugagli to gain a deeper understanding of this threatened environment. 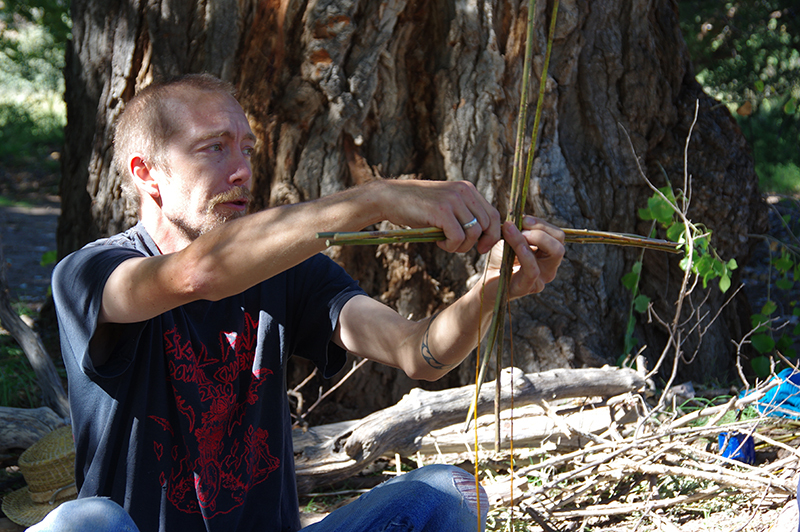 Local resident, artist and maker, Orien MacDonald shared with the students his intimate knowledge of the environment and its resources. 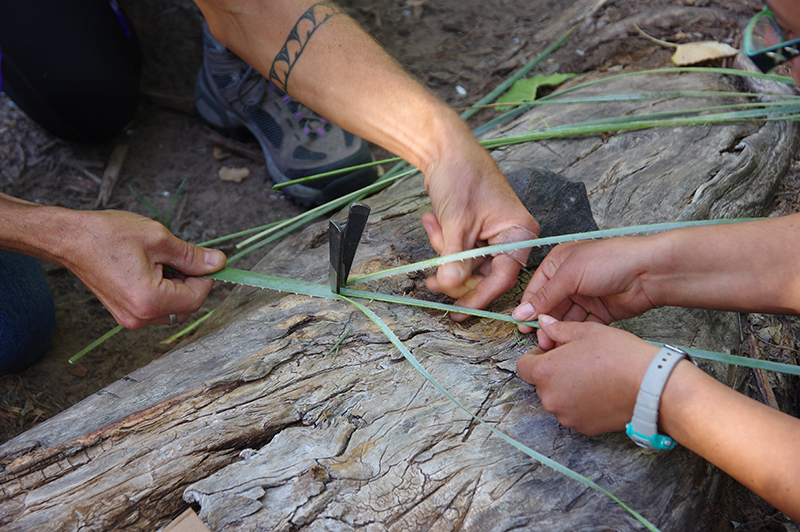 Utilizing locally gathered materials, Orien taught students traditional basket weaving processes. Sotol being processed for weaving. 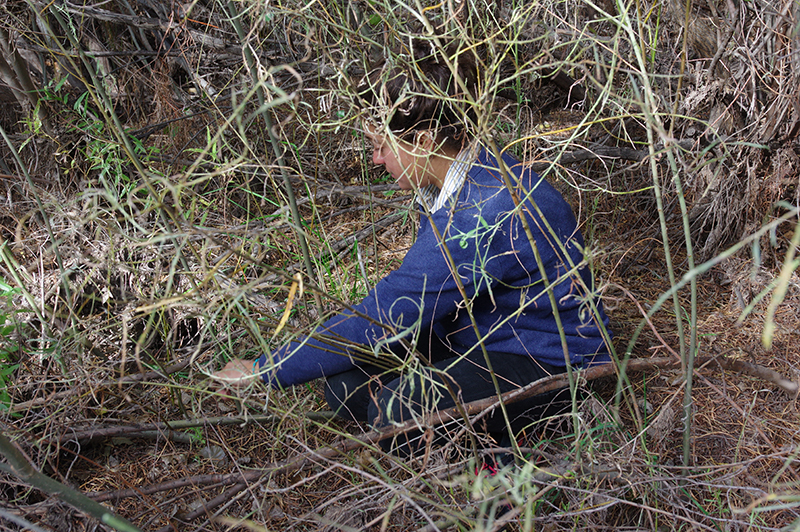 LAAW student Eleanora Jaroszynska harvests willow from the river’s edge. 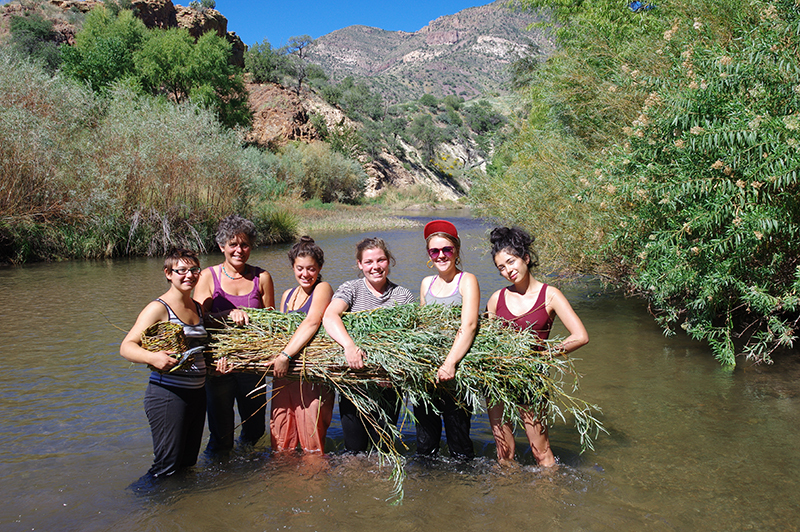 Paula D. Barteau, Jenn Hart-Mann, Eleanora Jaroszynska, Harriet Fawcett, CB Bryan and Joanna Keane Lopez gather willow from the banks of the Gila. 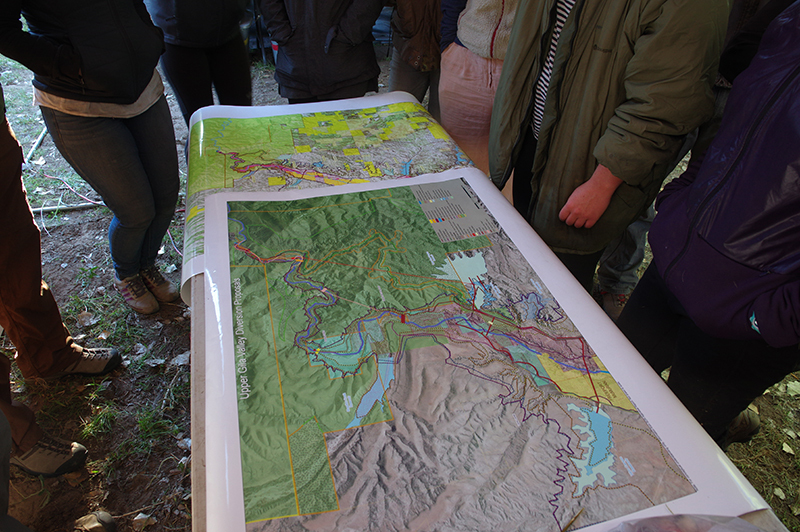 Carol Fugagli, a local ornithologist, discussed the many ecological niches of the Turkey Creek site. 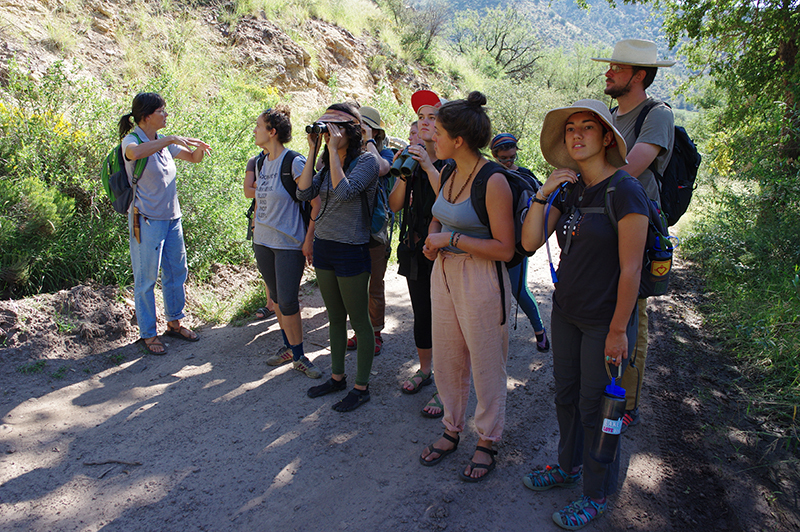 While leading a hike up-river, Carol described the effects of shifting the flow of the river on the flora and fauna in the Gila. A map of the proposed Gila Diversion Project. A gathering at the end of a hike up-river stopped at a proposed location for a reservoir created by the damming of the river. Artist Subhankar Banerjee visited us in the field. 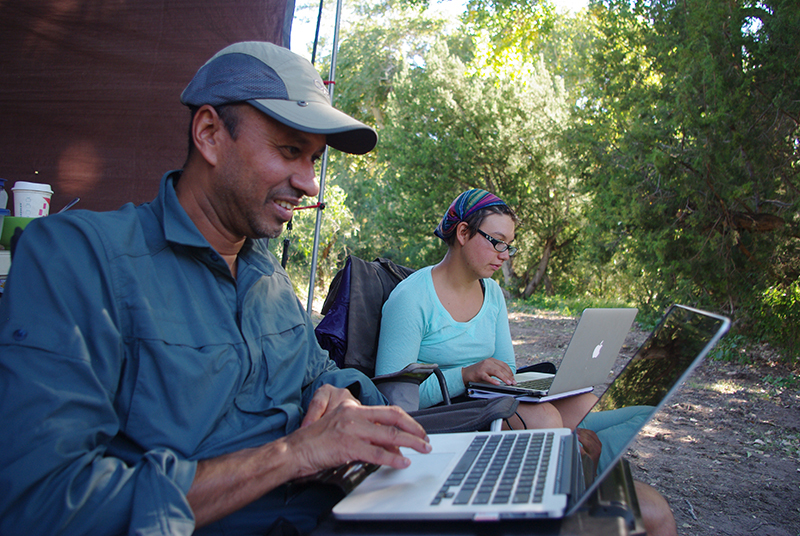 Banerjee worked with students on a collaborative project responding to the proposed diversion. This project was created in conjunction with the US Department of Arts and Culture's initiative "Dare to Imagine." 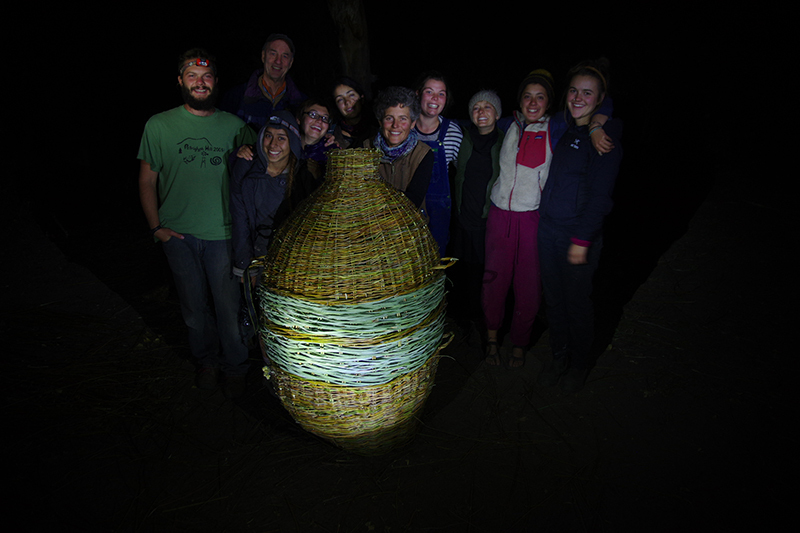 Students, guest artists, and faculty developed an installation which consisted of a large basket, formed in the shape of a water pot or “olla”, representing the futile attempt to contain the flow of the river. Teams of weavers worked in shifts throughout the day and night to finish the work on time. 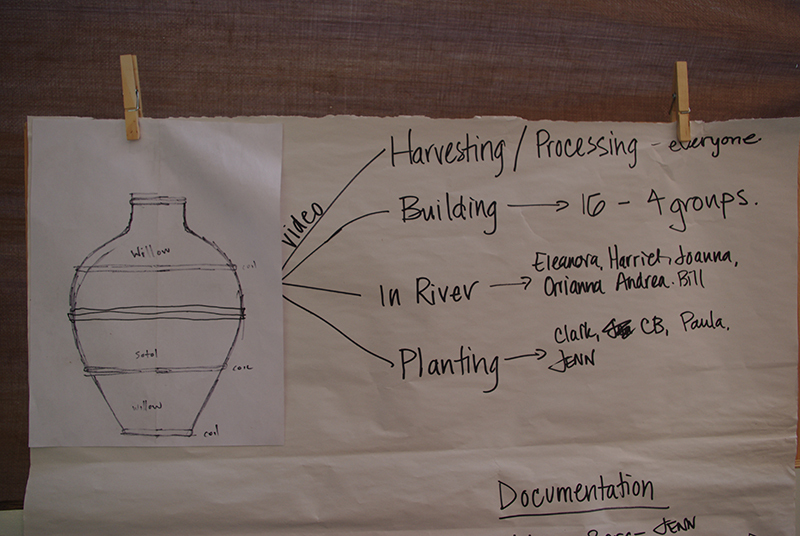 The olla was completed late in the evening. 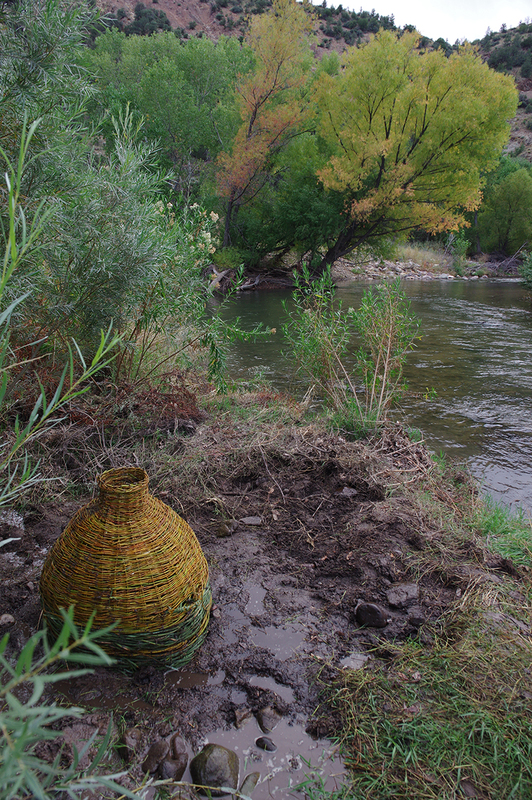 A procession took place, delivering the Olla to the river bank where it was installed. 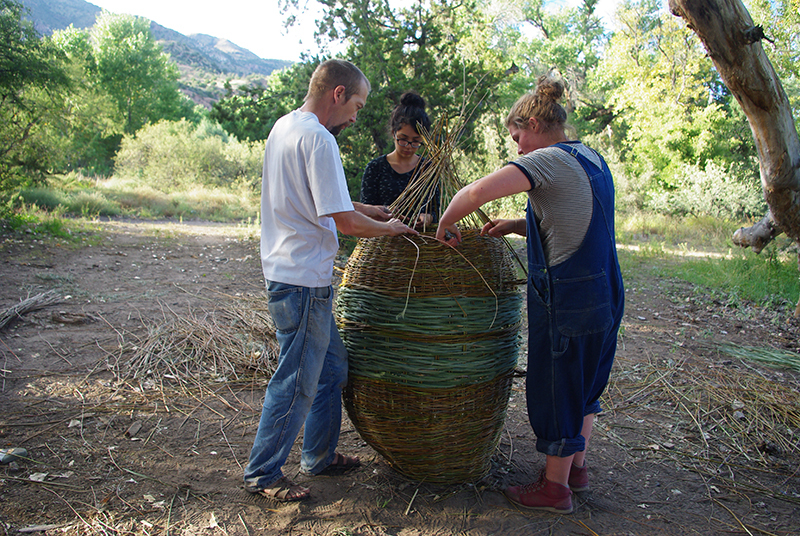 Planted in a section of eroded riverbank, the willow from which the basket was constructed will sprout, creating a new stand on the river’s edge.